In the 1910s, the Scheuer Brothers store in Sandusky sold Mabel Normand bathing suits, named for a popular silent film star. When she wore bathing suits in films such as Water Nymph and Diving Girl, some people thought the suits were racy. 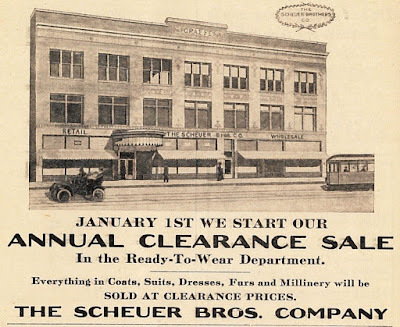 The Scheuer Brothers Company was located in the Graefe Building on East Market Street. 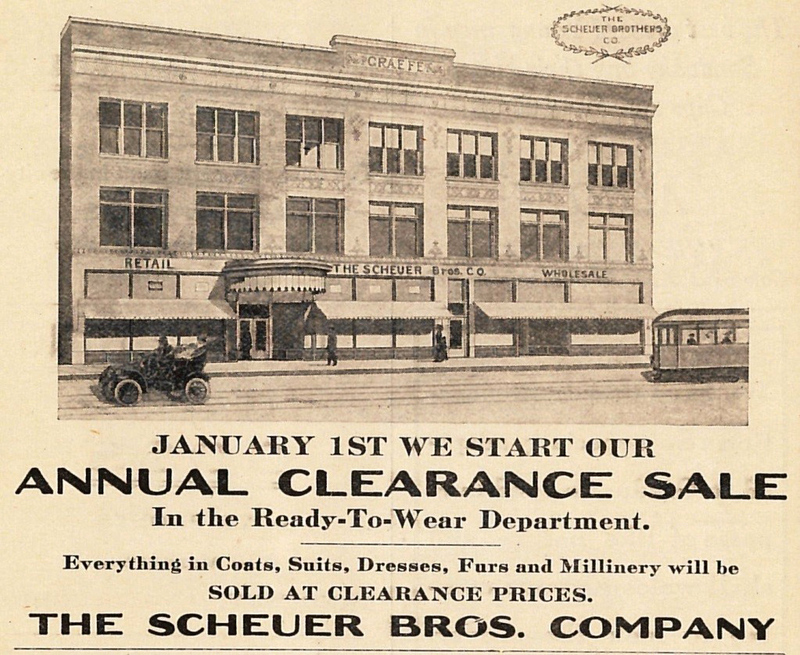 The advertisement above for the Scheuer Brothers appeared in the December 1912 issue of the Fram. 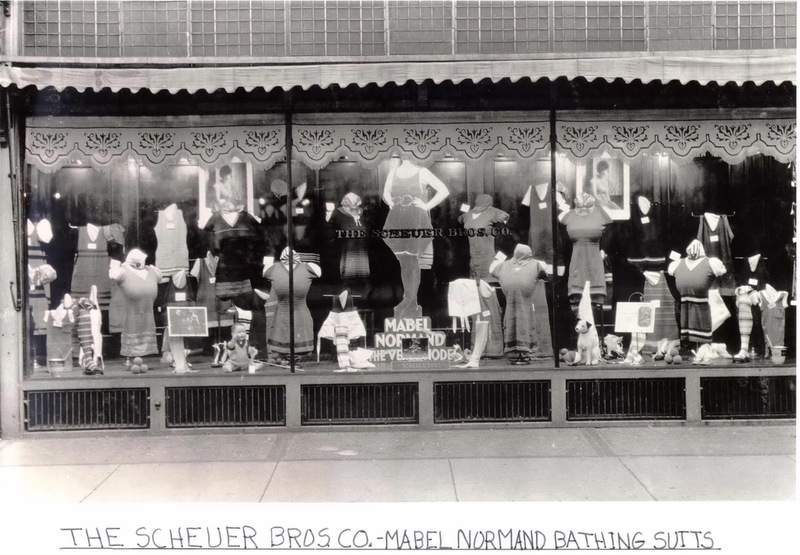 In 1919, William S. Frankel acquired the interests of A. J. Scheuer, and the store became known as the Scheuer-Frankel Company. Around 1929, William S. Frankel, Sr. became the sole owner of the business, and it was known as the William S. Frankel Company. 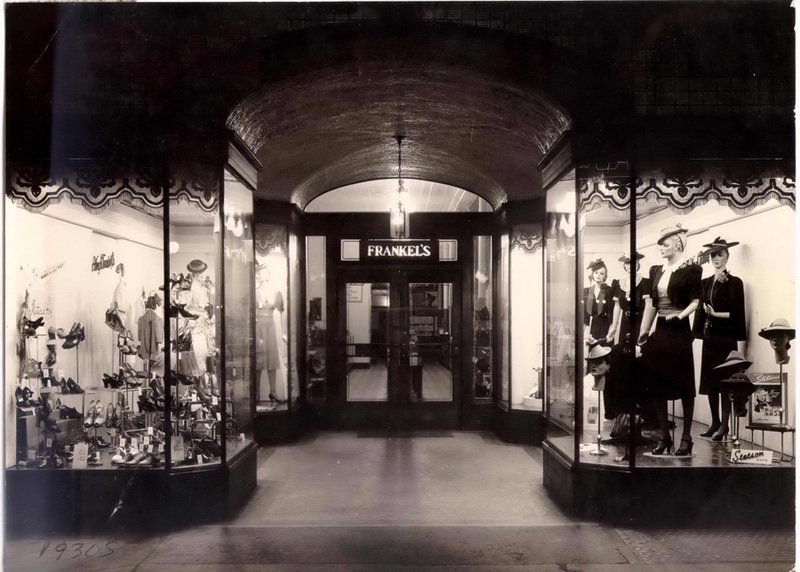 After William S. Frankel, Sr. passed away in 1949, his son William S. Frankel took over the business. Frankel’s was a popular department store for area residents until the mid-1960s.